Steven Reigns, West Hollywood’s first poet laureate, will lead a discussion tomorrow evening with Richard A. McKay, author of “Patient Zero and the Making of the AIDS Epidemic” from 7 to 9 p.m. at the City Council Chambers, 625 N. San Vicente Blvd. Gaétan Dugas (aka Patient Zero) was a French-Canadian flight attendant who was widely mistaken as being responsible for the spread of HIV in the United States. 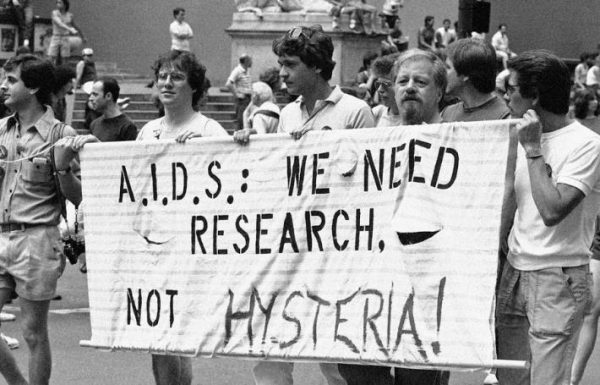 His name and narrative were exposed in Randy Shilts’ book (and later award-winning film) “And The Band Played On.” Dugas and the concept of an HIV Patient Zero (the term didn’t exist before the emergence of the HIV/AIDS epidemic) have been loaded with myths, mistruths and misinformation. A reception and author signing will follow the conversation; books will be available for purchase courtesy of Book Soup. This special community event is co-sponsored by Lambda Literary, Friends Research Institute Inc., the Los Angeles LGBT Center and ONE Archives. Admission is free; space is limited. Free parking will be available at the adjacent five-story structure with validation. Those attending can RSVP online.